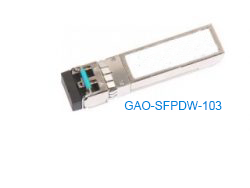 GAOTek’s selection of SFP DWDM (Small Form-Factor Dense Wavelength Division Multiplexing) transceivers brings you high performance affordable devices compliant with DWDM SFP MSA for sale to the United States, Canada and Globally. 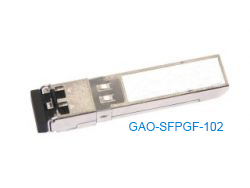 Choose the transceiver that best suits your needs from this distinct selection of top notch SFP DWDM and GE-FX transceivers. 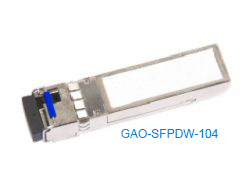 CWDM and DWDM both provide higher bandwidth and consume less fiber optic cable. The DWDM technique differs from CWDM w.r.t. channel spacing. DWDM offers increased bandwidth through a greater number of channels since it has narrower spacing in between channels than CWDM. 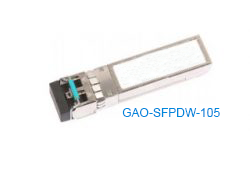 The number of channels is more in DWDM since these channels are dense and tightly spaced. Hence the name DWDM for ‘Dense’ Wavelength Division Multiplexing. 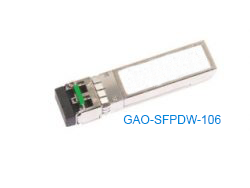 GAOTek’s SFP DWDM transceivers provide enhanced digital diagnostic monitoring interface for real time access to important device parameters. 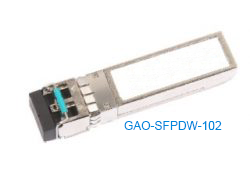 Our DWDM transceivers are hot pluggable devices used with single-mode fiber to span as high as 120 km transmission distance. They have a sophisticated alarm system along with a unique digital diagnostic monitoring interface. They are equipped with an independent DWDM DFB laser diode for transmission, and an APD photo diode for reception. 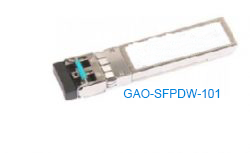 Our DWDM transceivers have a huge transmission capacity, and they comply with DWDM SFP MSA and SFF 8472 standards. They use 100 GHz ITU Grid, C Band for each channel transmitted over fiber.